Coastal habitats, including mangroves, salt marsh, and seagrass meadows, provide numerous ecosystem services, including improved water quality, shoreline stabilization, and essential fish habitat. 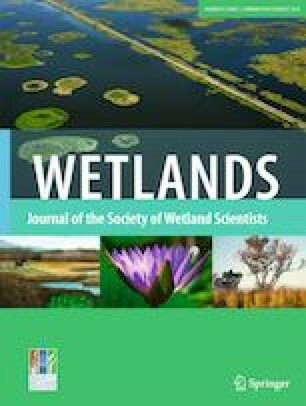 Over the past few decades, the quantification of greenhouse gas fluxes in wetlands has improved, leading to the recognition of these habitats as long-term carbon sinks. Quantifying this “blue carbon” as an ecosystem service provides added value for wetland protection and restoration and serves as a useful management tool when implementing plans for sustained ecosystem health and productivity. Tampa Bay (Florida, USA), a highly urbanized estuary, provides an interesting case study to assess the role of blue carbon in supporting management and informing restoration decisions. This review provides results from the Tampa Bay Blue Carbon Assessment, which quantified existing carbon stocks and identified the future carbon sequestration trajectories of coastal habitats with respect to climate change and sea-level rise. 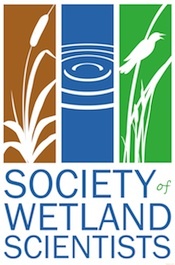 Examples are provided of how these data can be used to prioritize restoration efforts, support and enhance management decisions, and potentially attract new partners to support wetland restoration projects that offer additional climate change mitigation and adaptation benefits. This added valuation can help drive investment towards additional wetland restoration activities to help meet management targets in estuaries worldwide. This effort is drawn from components of the Tampa Bay Blue Carbon Assessment (Sheehan and Crooks 2016). Funding was provided by the Tampa Bay Environmental Restoration Fund, NOAA’s Office of Habitat Conservation, U.S. Fish and Wildlife Service Coastal Program, U.S. Environmental Protection Agency, Florida Fish and Wildlife Conservation Commission, and Scotts Miracle-Gro. R. Moyer and K. Radabaugh are grateful for additional funding provided by the U.S. Fish and Wildlife Service’s Florida State Wildlife Grants program administered by the Florida Fish and Wildlife Conservation Commission (FWC) and the Ecosystem Assessment and Restoration section of FWC’s Fish and Wildlife Research Institute. E. Sherwood is grateful for partial funding provided through U.S. EPA Section 320 Grant Funds and local government contributions to the TBEP’s operating budget (Hillsborough, Manatee, Pasco and Pinellas Counties; the Cities of Clearwater, St. Petersburg and Tampa; Tampa Bay Water; and the Southwest Florida Water Management District). The authors also thank two anonymous reviewers and editors for their thoughtful comments in improving this paper. A Critical Investment in ‘Blue Carbon’ (2018) Conservation International, 2018, www.conservation.org/stories/Pages/A-Critical-Investment-In-Blue-Carbon.aspx. Accessed 28 Nov 2018. Radabaugh KR, Moyer RP, Raulerson GE, Sherwood ET (2017b) Critical coastal habitat assessment training manual: a guide for long-term monitoring of coastal wetland habitats. Tampa Bay Estuary Program, St. Petersburg, FL. TBEP Technical Report #06–17. 30 pp. https://www.tbeptech.org/TBEP_TECH_PUBS/2017/TBEP_06_17_CCHA_Training_Manual.pdf. Accessed 13 March 2019. Robison D (2010) Tampa Bay Estuary Program Habitat Master Plan Update. Technical Report #06–09 of the Tampa Bay Estuary Program, St. Petersburg, FL. http://www.tbeptech.org/TBEP_TECH_PUBS/2009/TBEP_06_09_Habitat_Master_Plan_Update_Report_July_2010.pdf . Accessed 1 Oct 2017.